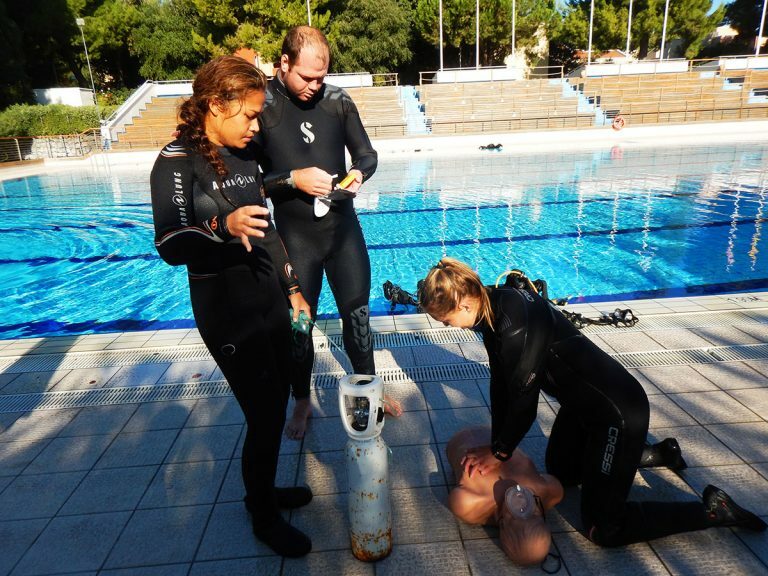 Once you’ve completed your Emergency First Responder course or showed proof of similar recognized training, you will be ready to start your Rescue Course with Sea Spirit Diving Resort in Sicily, Italy. The words that best describe the PADI Rescue Diver course is “challenging and rewarding” and, after its conclusion, is described as the best course ever attended. 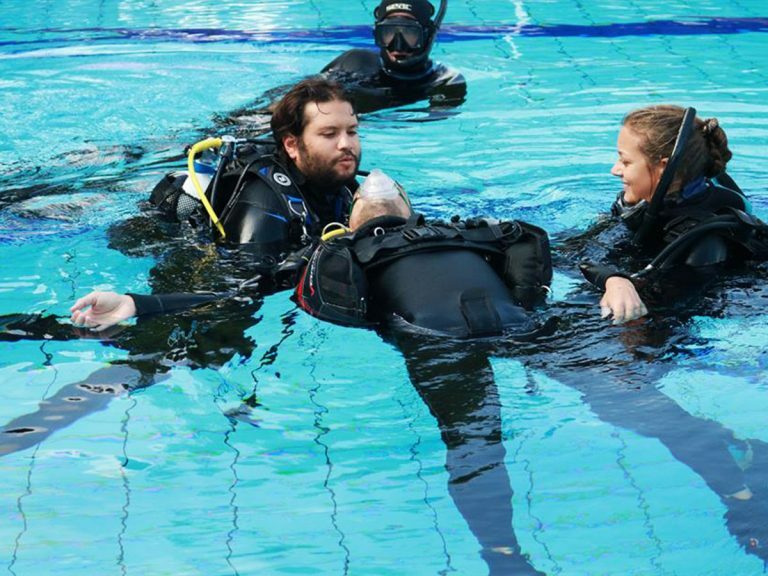 Based on what you’ve learned, this course expands your skills on how to prevent problems and, if necessary, how to manage them, in and out of the water. There is theory involved and you will put it into practice learning the skills and practicing scenarios. Self-Rescue procedures, Tired an Panicked Diver procedures, Response from shore or boat, Distressed Diver Underwater, Missing Diver procedures, Surfacing an unresponsive diver, Unresponsive diver at the surface, Exiting an unresponsive diver, First Aid for Pressure Related injuries and Oxygen Administration. We will also cover a lot of diving-related physiology. 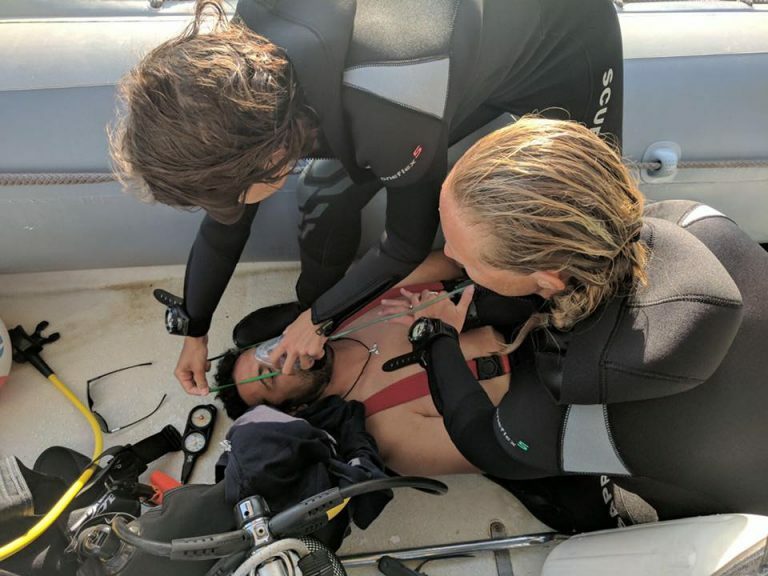 Understanding what the differences are between decompression sickness, lung over expansion injuries, heat stroke or exhaustion plus other types of injuries is very important. To complete the course and receive your certification, you will need to complete all knowledge reviews of the Rescue Manual and the final exam, prepare an emergency assistance plan and demonstrate a good ability in each skill and scenario. 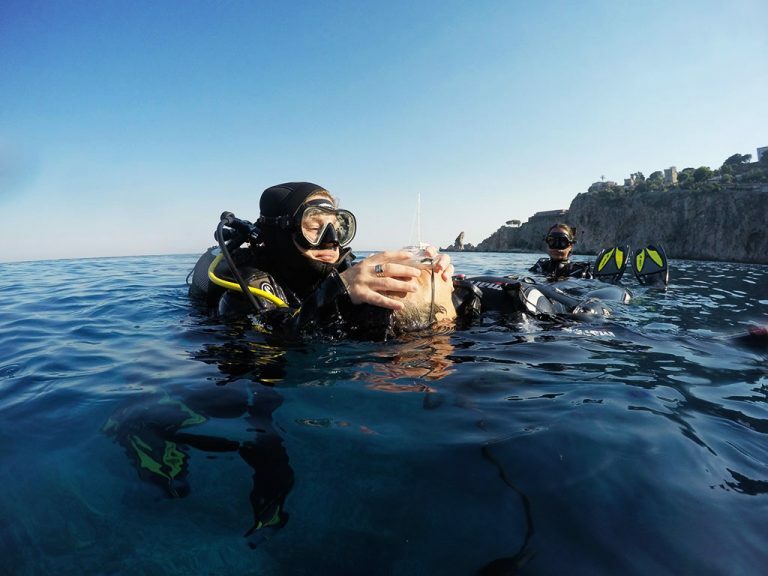 – Have the PADI Adventure Diver (or hold a qualifying certification from another organization).